CHICAGO -- ATTENTION CHICAGO FANS!!!! 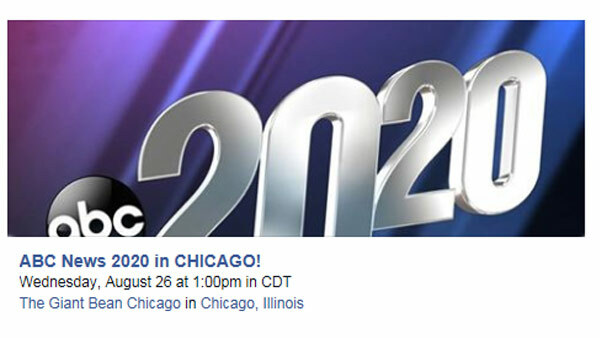 ABC 20/20 is going to be at #thebean (#cloudgate) Wednesday from 1-6pm and we want to see YOU! Ron Magers ABC7, Kathy Brock ABC7, and Cheryl Burton ABC7 will be there too! Come see us as we prep for our fall season and you'll have a chance to be featured on our broadcast!